Green Maeng Da is one incredible strain of Kratom which brings a sense of pleasure with its name. It belongs to the classic Maeng Da strain which is one of the highest selling Kratom in the world. Capsules of green Maeng Da is one top-selling form of it. Among all Kratom products, capsules are selling like hot cakes these days. One big reason to use green Maeng Da in capsules is that it is easy, straightforward and calculative. In case someone doesn’t know what green Maeng Da capsules are, you need to get familiar with this highly efficient Kratom, product. What is the Green Maeng Da Kratom Capsules? Green Maeng Da is one cool and soothing strain which is famous for its reliving effects. It belongs to the oldest land of Kratom, Thailand. Thai strains are the best among all Kratom strains of the world. The leading Kratom vendors pluck and grind these leaves to make the fine powder. This fine powder is available separately and in the form of capsules both. You will find them at all leading Kratom online stores. Why buy Green Maeng Da in Capsules? 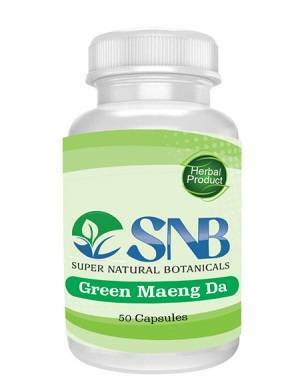 Buy green Maeng Da capsules because they have clear advancement over using powder. First, they are highly useful for their role. You can trust them for the respective effects. Green Maeng Da capsules sizes and how much powder fill in that? There is a variety in capsule size. Every vendor follows one distinct capsule size. It is an essential thing to check the capsule size before confirming the order. Most of the green Maeng Da capsules size is either 00 or 000. Size 00 capsules contain 0.5 grams of green Maeng Da powder in it. The quantity in size 000 is 0.8 grams of Kratom powder. Why buy Maeng Da Kratom Capsules at Super Natural Botanicals? Super Natural Botanicals is one trusted name among all online Kratom vendors. It is getting fame for its highly better-quality Kratom powder and capsules. Takes effect faster than I expected. My new favorite strain. Also the effect lasts longer than I expected. Shipping was very fast.